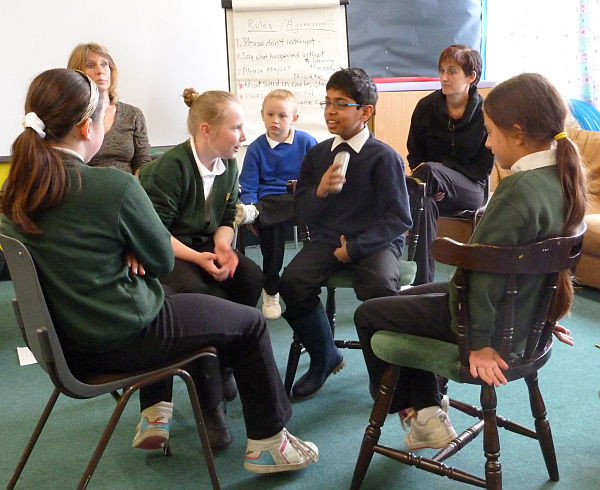 I was lucky enough to take part in a mediation training course for primary school children last week. Over three days, a group of 12 children learnt how to resolve disputes between other pupils – not through arbitration or judging the rights and wrongs, but by mediation. It was inspiring. 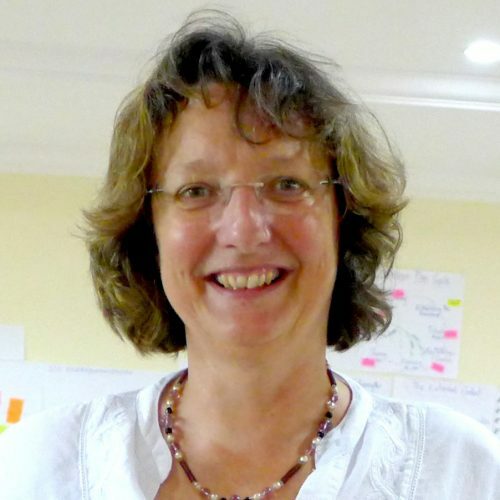 The course was run by Katherine Stoessel, and her approach was to introduce small chunks of information, start practicing and role plays early on, and base everything on the children’s own experiences. Children as young as 9 (but mostly 10), were exploring win-win solutions, paraphrasing and summarizing accurately, and discussing the deeper and hidden feelings behind conflict. The school serves a community in Kings Lynn with one of the highest deprivation rates in the east of England. But in the last few years Norfolk has introduced restorative approaches in schools which are transforming how schools deal with challenging behaviour – from blame and punishment, to a focus on repairing relationships. The culture of the school made a significant difference to the children’s understanding and ability to engage with mediation. They are used to systematically resolving problems by talking about them with teachers in a structured way called ‘circles’. By the end of the second day (I wasn’t there for the last day) the children had already memorized the steps in mediation, and were starting to explore the issues underneath conflicts such as not wanting to play with another, gossip, name-calling and fighting. As a mediator myself I know how much courage it takes to surface difficult issues. The students tackled it all with huge enthusiasm and skill.